Innofactor - A Unique Way to Experience Tomorrow's Modern Digital Organization Today. A Unique Way to Experience Tomorrow's Modern Digital Organization Today. What is the Innofactor Customer Immersion Experience (CIE) for Dynamics 365? 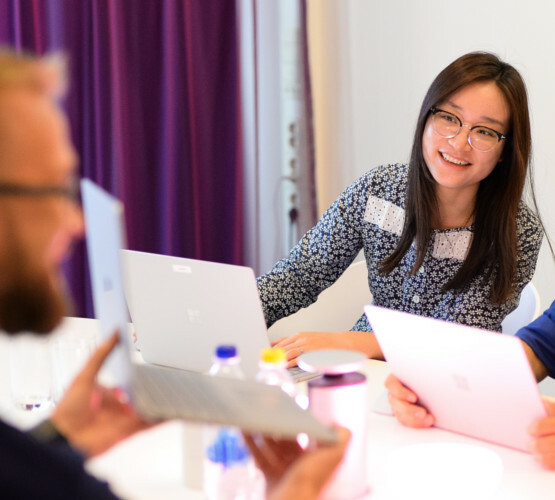 The Innofactor Customer Immersion Experience for Dynamics 365 is a half-day session targeted to mid and large sized organization leadership teams held at the Innofactor Offices in Stockholm, Sweden & Espoo, Finland. 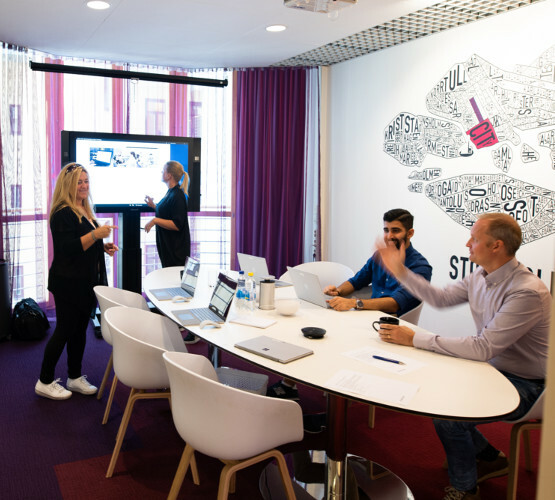 It is a unique concept to present how an integrated cloud-based business solution enables digital transformation in a modern and engaging way. During the session, the customer leadership team gets to solve exciting real-life business scenarios using a fully integrated cloud solution environment powered by Microsoft Dynamics 365 business applications, Office 365 and LinkedIn Sales Navigator. Innofactor's and Microsoft's experts guide the audience through the session providing key insights and sharing best-practices. Experience a totally new way to operate! 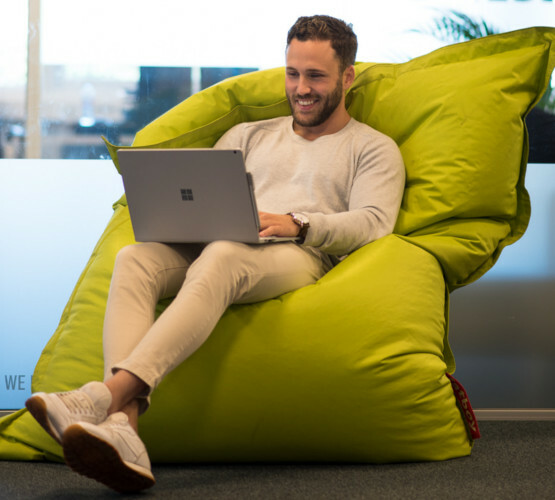 Book a session in the Microsoft Dynamics 365 Experience Room! Leave us your details and we'll be in touch. What are the best practices of leveraging modern business applications to drive more value and leverage data as a strategic resource to make better decisions? What new skills are required from the organization and its leadership? How should organizations get started in taking their business process digitalization to the next level and plan the right architecture? How do we leverage digitalization and modern cloud solutions to operate more effectively, make better decisions to drive profitable growth and shareholder value? How do I transform my sales team and adopt a new way to sell by leveraging modern tools, processes and a social selling culture? How can I leverage the digitalization and cloud to innovate new business and operational models, products and services to stay ahead of the competition? 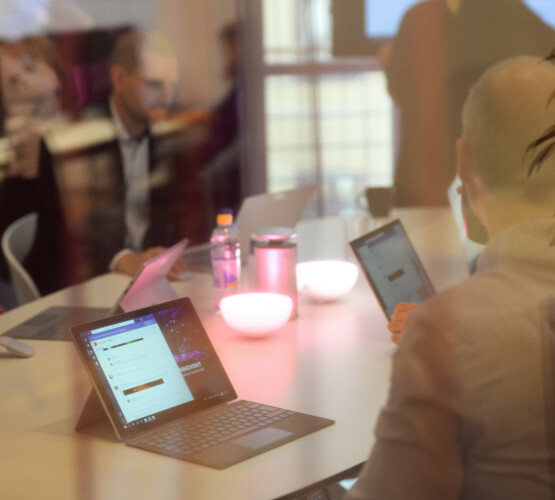 What's the right solution architecture to digitalize our business processes in a secure, manageable and cost-efficient way, and what's expected from a modern IT team? How do I increase marketing ROI, improve digital lead creation and leverage modern marketing methods and tools together with sales? How do I identify and attract top talent, onboard them effectively and retain them? Want to book a session or learn more? Leave us your details and we'll be in touch! "It's the best way I've seen to not only explain, but actually experience business process digitalization for real. Entertaining, easy and straightforward!"